Patrick Nathan heads the Corporate Information and Communications Division, which includes Corporate Marketing and Communications, Passenger Service Department as well as the Information Fusion Centre. Nathan first joined SMRT as director, security and emergency planning in 2011 where he provided strategic perspectives on issues concerning security, contingency planning and crisis management before assuming his current role. Nathan has over 25 years’ experience in the areas of national security policy, risk assessment and horizon scanning. He served on the National Security Secretariat from 2002 until 2004, when he was seconded to the National Security Coordination Centre, Prime Minister’s Office as its deputy director, a post he held until he joined SMRT. At the Centre, his primary duty was strategic policy development. He was also responsible for media relations, corporate branding and communications, and marketing for the Centre. 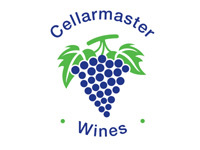 He was also responsible for media relations, corporate branding and communications, and marketing for the Centre. 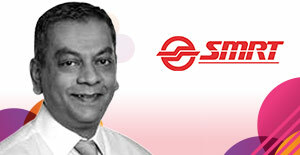 Follow SMRT at @SMRT_Singapore. 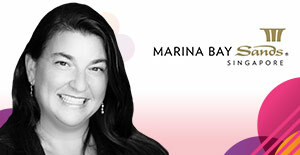 Lisa Williamson is the vice president of communications for Marina Bay Sands. 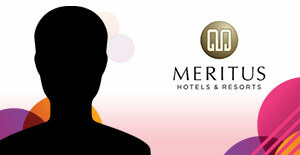 She is part of the founding team of the Integrated Resort, joining the company in March 2009. In her role, she directs the company’s communications functions, including media relations, social media, visual media, internal communications for over 9,500 team members, executive communications as well as corporate social responsibility (CSR) and civic outreach. Under Ms. Williamson’s leadership, the integrated resort has developed its CSR programme, Sands for Singapore. Her priorities for the programme include building a culture of volunteerism among team members and identifying and helping portions of the local community that are underserved. She spearheaded Marina Bay Sands’ signature charity event – the Sands for Singapore Festival, which raised over S$5.4million for over 300,000 beneficiaries in 2015. She also drives many high-profile media and celebrity activities in Marina Bay Sands, including red carpets, international movie premieres and media trips, helping the integrated resort attain its iconic status all over the world through press and social media coverage. Prior to joining Marina Bay Sands, Ms. Williamson was the managing director of Bryant Williamson Communications, a Singapore-based integrated marketing firm with a special focus in energy, commodities and financial technology. She was responsible for developing a global client base by providing marketing, messaging and communications architecture for the diverse Asian region. Ms. Williamson moved to Singapore with GlobalView Software Inc. in 1998 to direct marketing and communications functions for the US-based energy trading software company in Asia. After joining Thomson Financial as Director Marketing APAC, she later returned to GlobalView as vice president of Marketing Globally. Ms. Williamson began her career in the hospitality sector in the USA before moving to London, England to perform Marketing and PR functions for the opening of the Conrad at Chelsea Harbour and The Halcyon Hotel, Holland Park. Ms. Williamson attended Pine Manor College, Chestnut Hill, MA. Fong-Ling leads a team of communications professionals in Asia Pacific for the Building Efficiency business of Johnson Controls, a global diversified global diversified technology and industrial leader serving customers in more than 150 countries. Johnson Controls’ 130 000 employees creating quality products, services and solutions to optimise energy and operational efficiencies of buildings; lead-acid automotive batteries and advanced batteries for hybrid and electric vehicles; and seating components and systems for automobiles. She worked with several global and regional brands in her career in communications including HP, IBM, Motorola and Singapore Technologies, and saw how the communications profession transformed from the traditional use of print media to the explosion of digital media. A consummate communications coach and mentor, Fong-Ling firmly believes that communications must always be aligned with the business, and is a strategic driver for business transformation and growth. She is keenly interested in cultural diversity and inclusion in Asia, and its integral impact on designing communications strategies that connect and deliver measureable outcomes. Duangamanee (Apple) Yantawattana, director of PR & marketing communications of W Bangkok, a design-led lifestyle hotel in Thailand with 403 rooms. Apple holds a first class honors bachelor’s degree in hospitality management from Bangkok University International College. Her career includes positions at major five-star properties in Thailand including Marriott, Sheraton and W Hotels. In 2010, Apple joined pre-opening team leading PR & Marketing for the first W brand in Thailand, W Retreat Koh Samui. In 2012, she moved to W Bangkok and was part of pre-opening team opening the second W brand. Recently, she opened Bangkok’s latest culinary experience destination called “The House on Sathorn”, a 126- year old colonial house right next to W Bangkok with 2 restaurants, 1 bar, and exclusive function spaces. With over 10 year of experience in branding, marketing and corp communications, Cheryl is known to be a passionate, fearless and creative marketer who pushes the boundaries in the financial industry. Never content to simply follow the herd, she has been spearheading the drive of the AXA Singapore brand for the last 3 years. 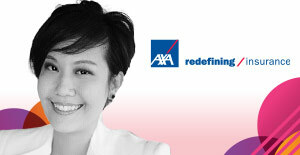 In this role, she’s responsible for branding, marketing, public relations and corporate social responsibility for AXA Singapore. Prior to this, Cheryl spent 4 years in Marketing at DBS Bank Consumer Group. Cheryl graduated with a Bachelor’s degree in Business Management (Marketing) from Singapore Management University. 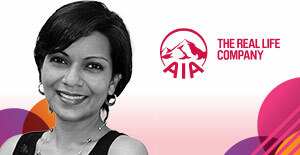 Darshini M. Nathan is the Head of Corporate Communications at Malaysia’s leading life insurer AIA Bhd. A communications specialist with over 15 years of experience, Darshini started her career as a business journalist in leading English daily The Star before moving on to assume communication-specific roles in other sectors namely investment banking and insurance. Her media experience has stood her in good stead, enabling her to understand the needs of the media and other stakeholders to ensure optimum messaging and engagement. Her recent accomplishment includes leading the Brand & Communications taskforce for the single licence integration of AIA’s businesses in Malaysia following an investment of USD1.7 billion in the market. Jane Chang started out as a marketing communications executive in 2007 at Chan Brothers Travel and rose through the ranks to head of marketing communications today. Working from ground up also offered the opportunity to gain excellent insights to the business and the industry and well-rounded grasp of the organisation’s various functions. Chang holds an imperative position in overseeing the development of the marketing strategy and formulation of marketing plan for prioritised business units to achieve business goals set out by the organization. She also fosters and manages internal and external stakeholder relations, sharing best practices across business units and facilitating knowledge and expertise transfers. Born in Chicago, educated in France, Maranda Barnes is an avid tea connoisseur, and has lived for 14 years throughout Italy, Switzerland and France working in the luxury and communications industries. Drawing from her experience providing differentiated marketing strategies to global haute couture fashion brands on fine fragrances and beauty care products, Maranda has a privileged vision and understanding of international tastes and predilections. As director of business development & communications, she is creatively engaged in developing unique and evolving strategies for TWG Tea’s corporate communications, PR and marketing departments, and has lent her unique writing style to all of TWG Tea’s product packaging. Alicia Seah, director of marketing communications is responsible for strategic marketing, communications and corporate development for Dynasty Travel. 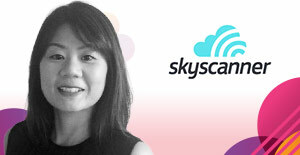 She currently heads the marketing and PR team and is committed to sustainable developments to enhance Dynasty Travel’s corporate brand and reputation as the company is poised to expand beyond Singapore’s shores globally. She is also instrumental in identifying customers’ needs and with customers in mind as top priority and created targeted marketing efforts at mid to high end travelers who are looking for unique and experiential holidays. 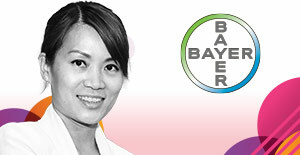 Lynn Ong is head of communications, Asia Pacific for the Cropscience Division of Bayer AG, responsible for the agricultural business and one of the world’s leading innovative crop science companies in the areas of seeds, crop protection and non-agricultural pest control. In her role, she is responsible for providing leadership and strategic direction for the organisation’s internal and external communications activities, as well as public and government affairs and stakeholder engagement in the region. Lynn is a communications professional with more than 15 years of communications experience with major MNCs and well-known brand name companies, including Bayer, IHS, SAP, the SingTel Group and the Singapore Land Transport Authority. With a wealth of experience in employee communications, media relations, crisis management, government and analyst relations, Lynn was also the corporate media spokesperson for the companies in her previous roles. Based in Singapore, Lynn has undertaken regional communications roles in the span of her career, covering key markets in the Asia Pacific region including Australia, China, India, Japan, South Korea and Southeast Asia. She is fluent in both English and Chinese. Harikumar Rajasekharan (Hari) is a seasoned communications professional with diverse experience in communications, marketing and human capital management across the financial services & IT domains. He currently works as vice president – communications, CR and public affairs for Deutsche Bank, based in the bank’s regional head quarters in Singapore where he provides communications advisory and coverage to businesses and countries in the Asia Pacific region. 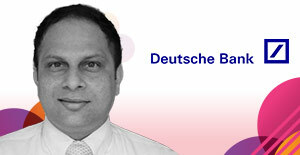 Before moving to Singapore to take up this regional role, Hari worked in Bangalore, India as India head – corporate communications for Deutsche Bank’s service centres. Previously, Hari worked for MNC’s and technology startups building and managing the communications and marketing functions. Hari is a graduate in Economics and also a Melcrum certified Black Belt in internal communications. 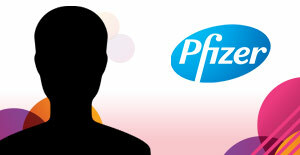 He also holds a Diploma in Information Technology from the Manipal Institute of Technology. 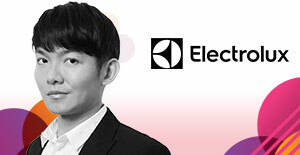 As head of communications for Electrolux Asia Pacific, Frazer Neo Macken leads and drives the full gamut of external and internal communications, corporate/public affairs, CSR and sustainability in the region. Frazer has an illustrious career in leading communications, PR, marcom, digital marketing and social media in both in-country and regional positions across mobile communications, FMCG and consumer appliances industries. A seasoned corporate and brand marketing and communications practitioner, Frazer has been a judge of esteemed regional and local Marketing and PR awards and a regular speaker at marketing and communication conferences and forums in Asia. In 2015, Frazer was named one of the top 500 most influential and important PR/Communications professionals around the world in the prestigious inaugural PRWeek Global Power Book. Frazer holds a BA (Communications) from Monash University (Australia), with Golden Key Society membership for outstanding achievements. He is also a certified counsellor and Singapore Management University (SMU) scholar with a MSc in Communication Management. 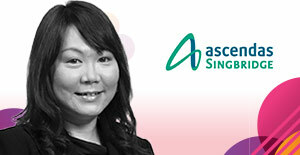 Crystal Seah heads the Group Communications of Ascendas-Singbridge, Asia’s leading provider of sustainable urban solutions. Ascendas-Singbridge is uniquely placed to undertake urbanisation projects spanning townships, mixed-use developments and business/industrial parks. Ascendas-Singbridge has a consistent track record in managing listed and private real estate funds. Seah has spent more than 15 years focused on lifestyle marketing in the travel technology and hospitality industries. She brings with her a wide scope of experience in corporate and marketing communications including global branding and digital marketing. Prior to joining Ascendas, Seah was director, marketing communications of COMO Hotels & Resorts based at the corporate headquarters in Singapore. 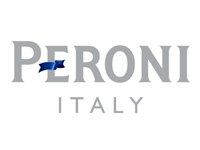 Other previous appointments with the various organisations include Banyan Tree Hotels and Resorts, ABACUS International and American Express. 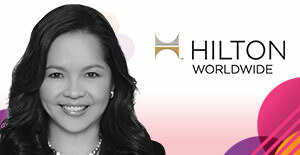 Joanna Ong is the vice president of corporate communications for Asia Pacific at Hilton Worldwide. Based in Singapore, she oversees internal and external communications strategies for the company and its portfolio of brands in Asia Pacific. She has been in communications for more than 18 years, with experience in corporate and brand marketing communications across industries. Prior to joining Hilton, Joanna held senior communications roles in multi-national corporations such as Carlson Rezidor Hotel Group, IHG and Standard Chartered Bank. She also worked at international public relations consultancies such as Burson-Marsteller, Weber Shandwick and Ogilvy Public Relations. She previously founded and managed Urban Scoop Consultancy, a successful regional communications agency. She graduated from Murdoch University, Australia with a Bachelor of Arts, double major in Communications Studies, and English and Comparative Literature. Yvonne is director, head of communications – APAC for PayPal, and leads both internal and external communications across Asia Pacific. An experienced global account leader who worked extensively with Asian companies and MNCs, Yvonne has been leading global campaigns for more than a decade and continues to champion communications successes that cut across cultures and markets. 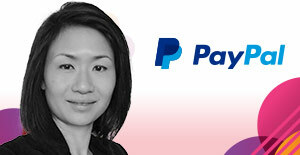 Prior to joining PayPal, she held management positions in global PR agencies such as MSL and Hill & Knowlton. She spent six years with MSL, most recently in San Francisco as senior vice president working with both US and Asia-based teams. Before that she was MSL’s managing director of Southeast Asia, leading the Singapore office and Southeast Asia operations, and grew the agency from an unknown brand in a crowded field to a trusted international agency brand. She was instrumental in MSL’s Procter & Gamble business, driving P&G’s growth strategy and talent capability all across Asia as Client Engagement Director. 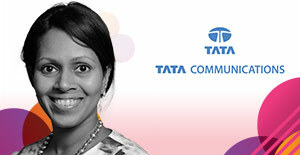 Divya Anand is global communications director, Tata Communications, part of the $108.8 billion Tata group of companies. 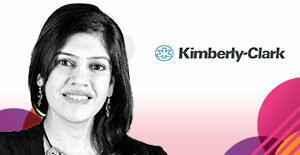 She is responsible for protecting and maintaining the corporate reputation for the company. With more than 14 years of experience in reputation management, integrated communications and content marketing across international markets, Divya has delivered successful campaigns and has led teams across regions, globally, to deliver high impact communication solutions. Prior to Tata Communications, she was associated with Tata Teleservices Limited in the capacity of deputy general manager – Brand and VAS Communication for APAC and India. She has also held several roles at Tata Motors for over seven years in spearheading activities right from conceptualising the corporate website to developing the brand architecture. Divya holds a Masters degree in English literature as well as a design communications management degree from Mudra Institute of Communications, India. 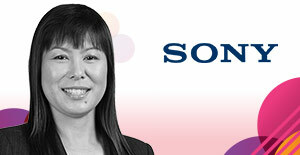 Audrey leads the communications team for Sony Electronics in Asia Pacific region, covering S. E. Asia, Taiwan, Korea, Oceania, India, Middle East and Africa. She is responsible for developing and driving the regional communications strategy and initiatives, to support business growth and enhance corporate reputation. Her responsibilities cover both external and internal communications, including media relations, crisis management, corporate social responsibility, government relations and employee communications. 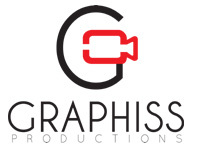 She has more than 20 years’ experience in the communications field, covering the electronics and maritime industries. 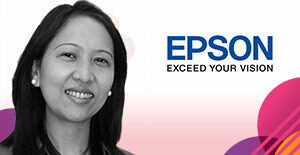 Judy Yap is the head of brand and communications of Eastspring Investments Berhad and is responsible for the functions of brand and marketing. 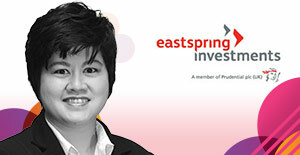 Judy’s career with Eastspring Investments Berhad began in 2001 as head of brands and communications. She brings with her more than fourteen (14) years experience in the unit trust industry, in the field of marketing and communications. Judy holds a Bachelor of Management Communications Degree (Majoring in Marketing and Communications) with Honours from the University of Waikato, New Zealand.